Seattle Seahawks wide receiver Ricardo Lockette celebrates after his touchdown Thursday night against the Green Bay Packers in Seattle. 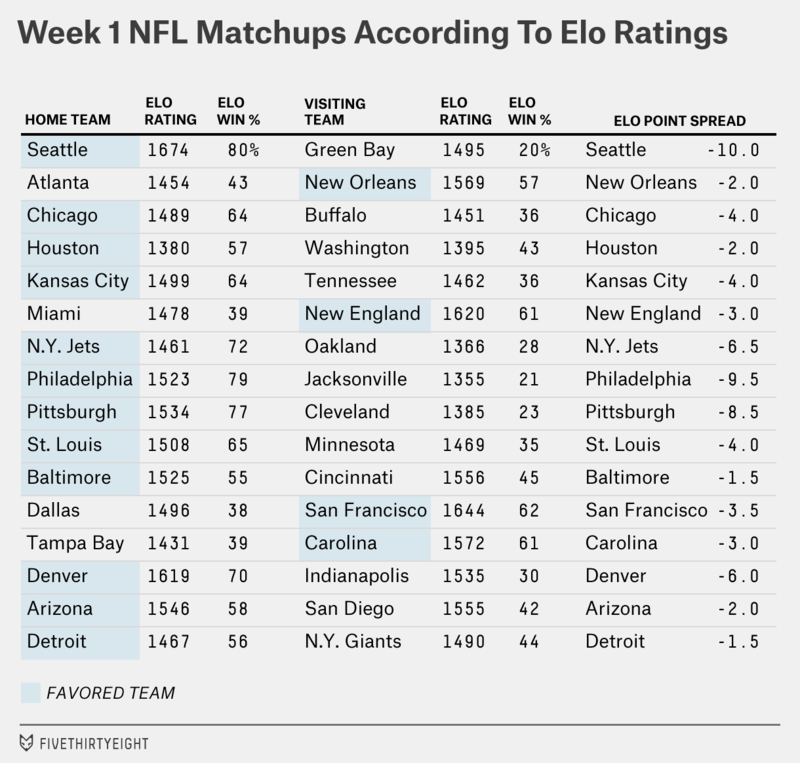 Each week throughout the NFL season, we’ll be publishing Elo ratings for teams and using them to simulate the remainder of the season, and calculate each team’s chances of making the playoffs and winning the Super Bowl. Read about our methodology for details about how the system works. Elo ratings have been applied in many endeavors, from soccer to chess; we’ve simply taken the system and revised it to work with NFL data. Elo ratings have many virtues, including being simple and transparent. However, they’re based on a very limited set of information — only the final scores of games and home-field advantage is accounted for. Therefore, we very much doubt that they can consistently beat Las Vegas betting lines; the point spreads and win probabilities listed here are purely for fun and will not reflect important factors such as key injuries or personnel changes. 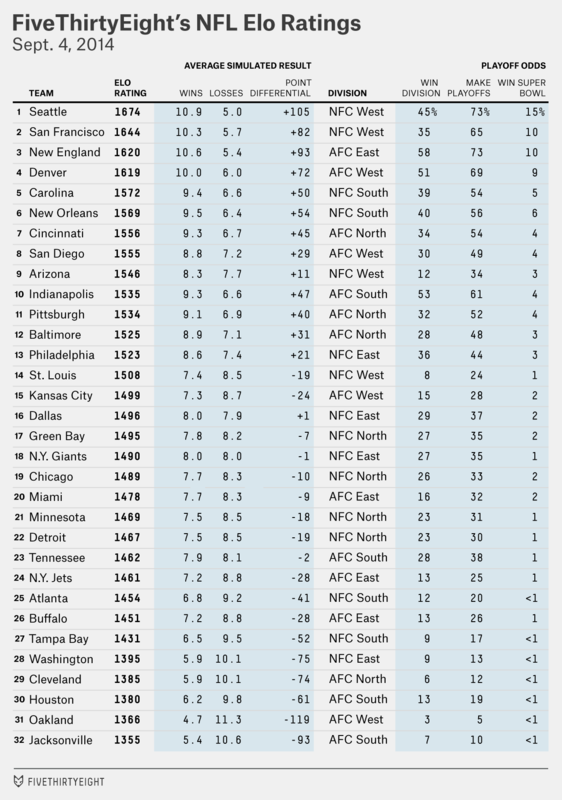 The two charts below show the initial 2014 NFL Elo ratings, which are based on a mean-reverted version of ratings from the end of the 2013 season, as well as the league’s Week 1 matchups.